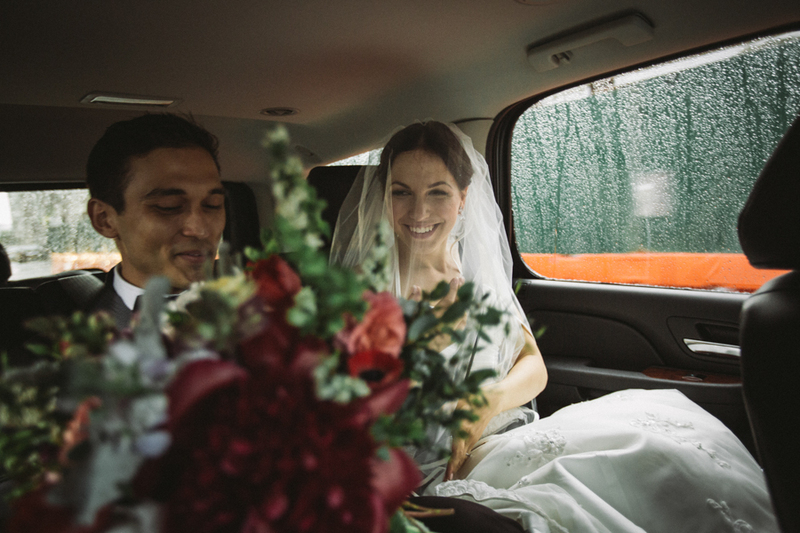 Brooklyn couple Stephanie Pepin and Max Santiago's wedding day on Sunday, May 31 started out beautiful and sunny -- until 4 p.m. rolled around. 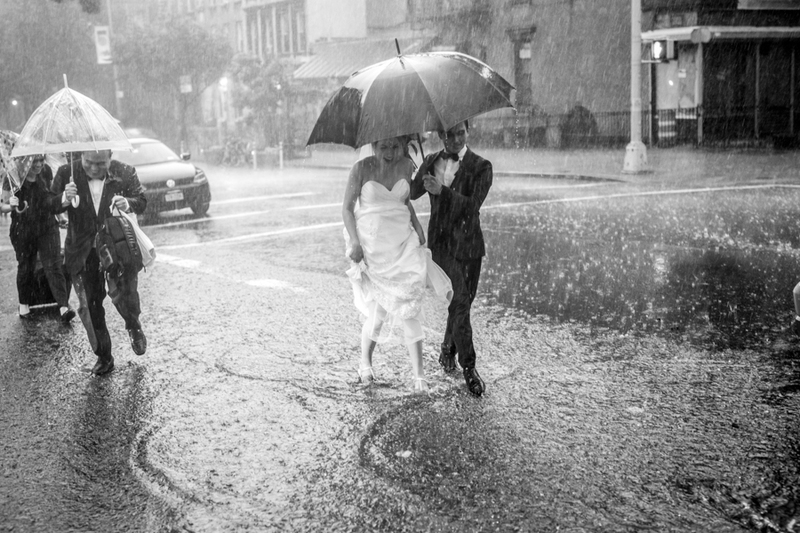 "The sky darkened and the clouds just opened up buckets of rain," wedding photographer Kamila Harris told The Huffington Post. "There was thunder, lightning, fog, zero visibility -- the works." 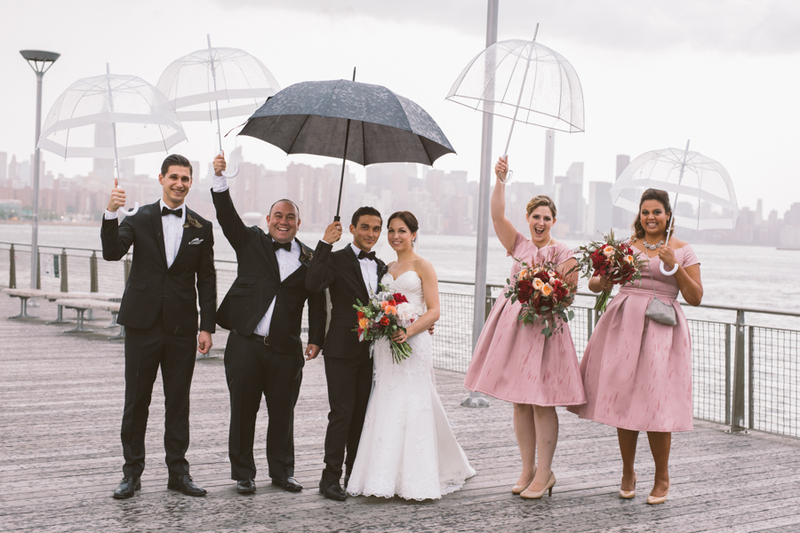 The bridal party and family were supposed to take pictures on the piers in Williamsburg before the ceremony. But after a few quick photos, they moved the location to a high-rise building balcony nearby. "The couple dealt with it better than anyone I have ever seen deal with inclement weather," Harris told HuffPost. 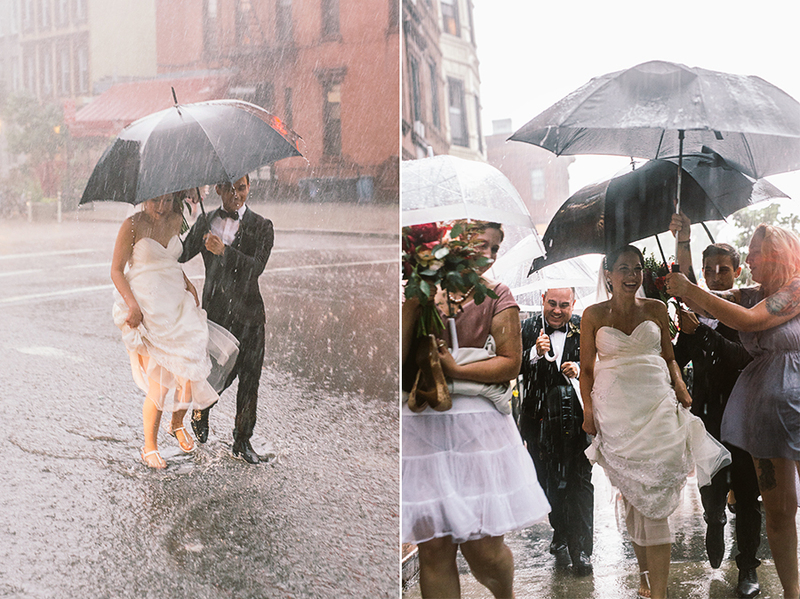 "The bride kept saying, 'I love thunderstorms. Why is everyone freaking out, it's just rain.' 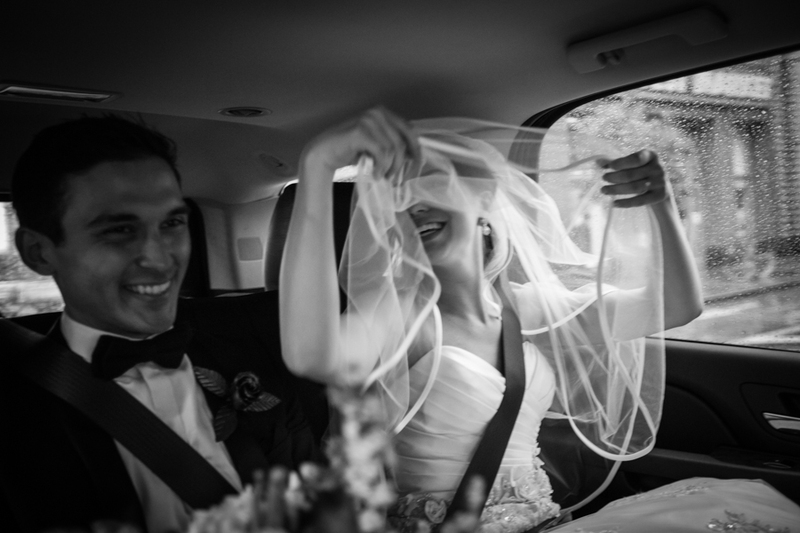 And she kept a huge smile on her face throughout the mad dashes in torrential downpours. She is awesome." 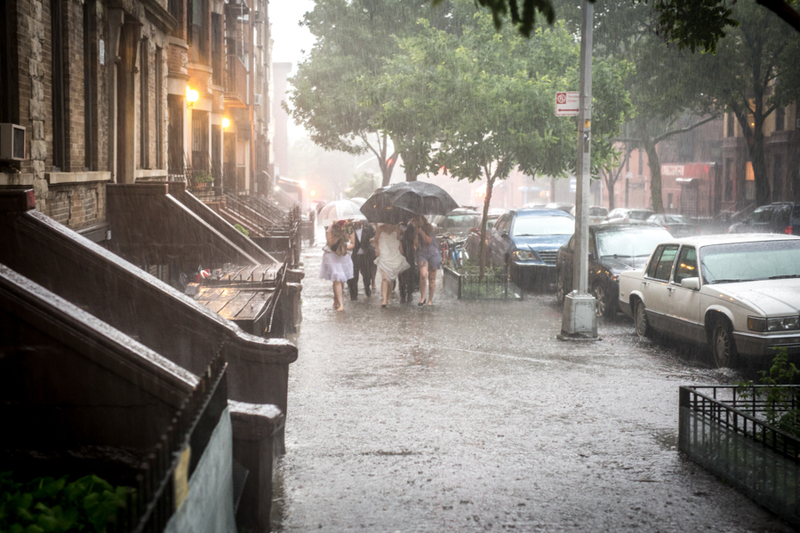 "The [couple] was soaking wet, but their clothes seemed to dry out," Harris added. "Or they just didn't have a care in the world and just wanted to be married. Nothing was going to stop them that day." 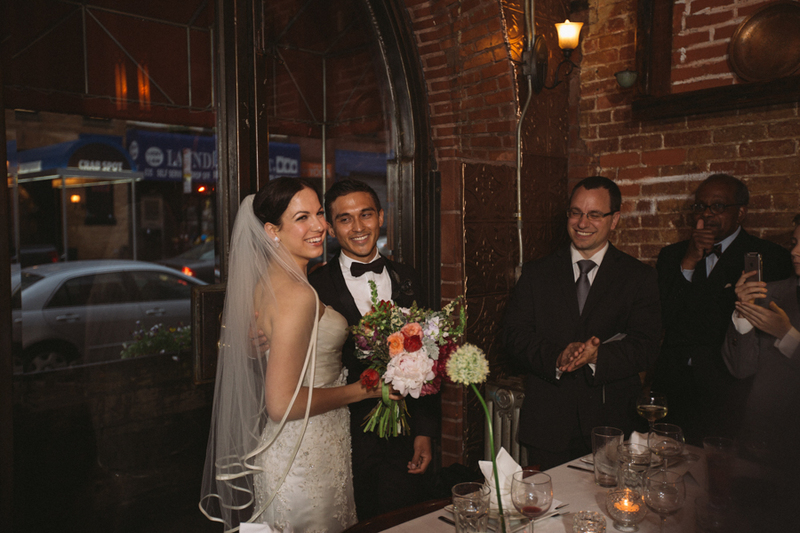 Unfortunately, part of Pepin and Santiago's wedding venue was flooded in the storm, so they couldn't have the ceremony in the atrium of the Scottadito Osteria Toscana in Park Slope as planned. 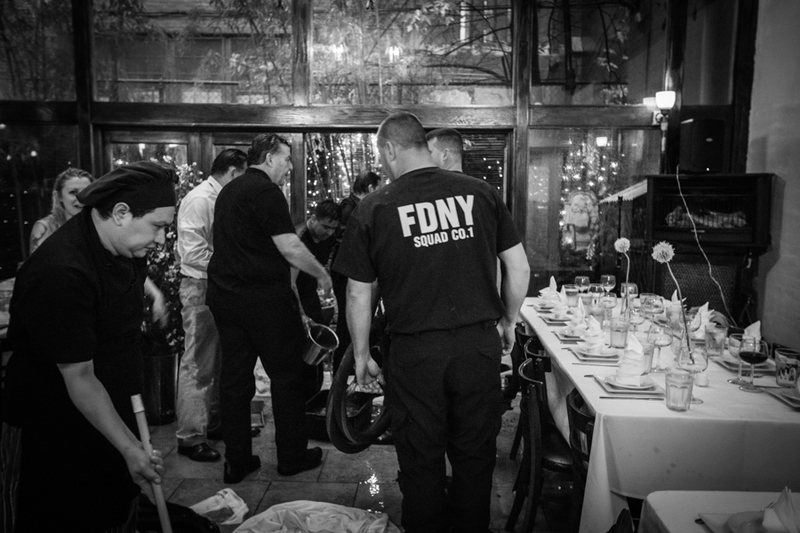 The FDNY came to help pump out some of the water and the couple said their "I dos" in another part of the restaurant instead. Despite the setbacks, the newlyweds couldn't be happier with how things turned out. "All we have ever wanted was to be together and married," the bride said. "Not only did we get what we wanted, but we also got a fantastic, hilarious, unexpected adventure and story to cherish with our friends and family."